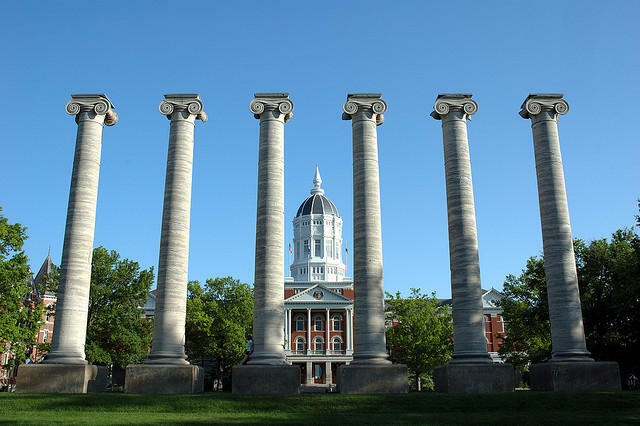 The outbreak of mumps continues to spread across the University of Missouri Columbia campus. The case count is up to 73 according to MU Student Health. Some of these cases include students living in residence halls while others include students living off campus. The virus is predominantly spreading through the Greek Life community. Student Health associate Pam Roe said prevention is the most important focus at this point. “You’re able to spread the virus without even knowing that you have it,” Roe said. Mumps is a viral disease most commonly spread through coughing, sneezing and the transfer of saliva from one person to the next. The MMR vaccination is used to help prevent the virus and is 88 percent effective. People who have previously been vaccinated can still contract mumps. Students with mumps may be contagious two days before the onset of symptoms. Boone County Community Relations specialist Eric Stann said mumps varies in the way that affects people. “The incubation of mumps is usually sixteen to eighteen days but can range from twelve to twenty-five days,” Stann said. MU Student Health is urging students diagnosed with mumps to stay home and not go to class or work. The MU Student Health Center is providing any student clinically diagnosed with mumps documentation to allow them to stay home from work and school. Some preventative techniques against mumps are to wash your hands and use hand sanitizer frequently. MU Student Health will update its website on further outbreaks as they work closely with the Boone County Health department. The number of confirmed mumps cases at the University of Missouri is growing amid a national rise in cases. The university plans to provide an update each Wednesday. As of Nov. 9, the university had recorded 17 cases since the beginning of the fall semester. The school says all the students received the required two doses of a vaccine that protects against mumps, as well as measles and rubella. Mumps is a viral infection that causes swelling in the salivary glands and cheeks. Anyone with symptoms is asked to stay at home.